An atomic bomb explosion—a fatal gunshot fired—a shattering earthquake – for many people these events trigger an instant recall of where they were at the time it happened. Tom Joyce was at his desk the fateful day in September 2001 when terrorists attacked the United States. 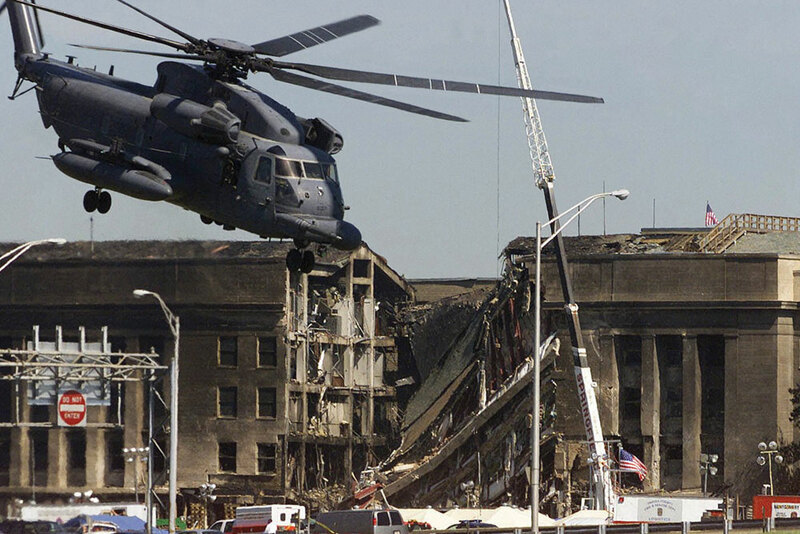 A hijacked Boeing 757 slammed into the Pentagon where his office was located on the fifth floor. As the building shook and smoke began to billow out, Joyce scrambled to help co-workers to safety and then exit himself. Now, ten years later, Joyce is retired from active duty and is currently the Pastor of Discipleship and Training at Immanuel Bible Church in Springfield, Virginia. As America commemorates the 9/11 anniversary, Joyce reflects on the day that forever changed his life. 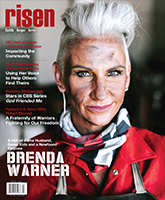 Risen Magazine: Before we get into your remembrance of the events of 9/11, tell me a little about your military background. 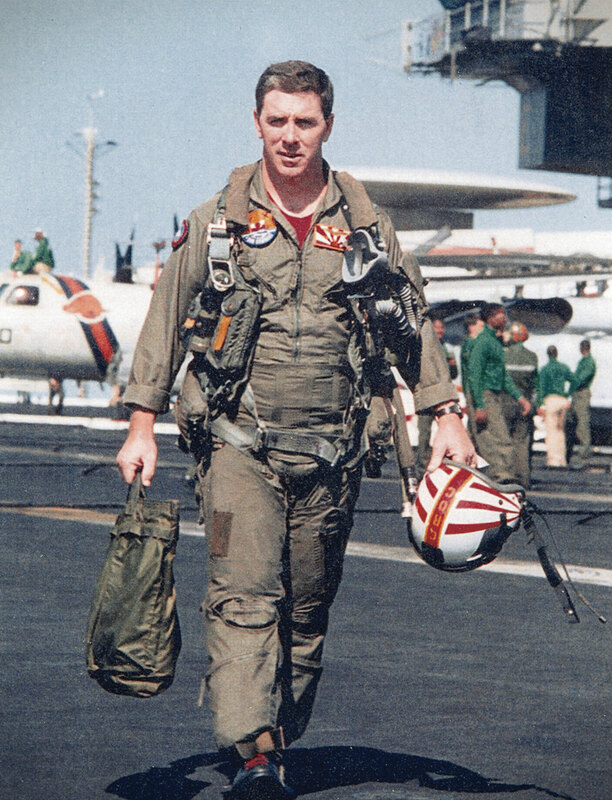 Tom Joyce: I graduated from the Naval Academy, spent time in Pensacola and was trained TOPGUN on the F-14 Tomcat at Miramar [California]. I later went to grad school at Harvard majoring in Public Administration. RM: Wow, so you were a TOPGUN pilot? TJ: Yes. 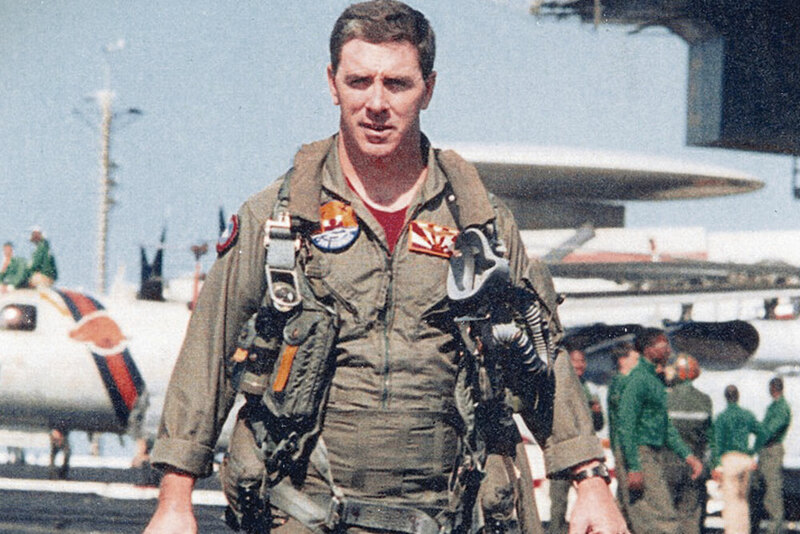 I was an F-14 instructor which was around the time that the movie Top Gun was being made out at Miramar base. RM: So were you in the movie? TJ: Several of us [pilots] did actually do some of the flying in the movie. I also spent three years on the staff, full-time duty at the Naval Academy training students. Having the opportunity to work with some 750-800 (midshipmen) and influencing their lives as they were beginning their careers was a very rewarding experience. RM: What about your family? TJ: After graduating from the Naval Academy, I transferred to Pensacola and met my wife the first week I was there. She was teaching at a Christian school and we met at a Bible study. We have four children; the youngest is still in college. RM: As we move on to reflecting on 9/11, where exactly were you in the Pentagon? TJ: My office was on the fifth floor. The Pentagon consists of five floors and five concentric rings. My office was on the side of the impact point. When the airplane hit the building, it penetrated right directly underneath us and took out all of the windows and debris and despite of wiping out all of the three floors below us we were still standing. Some of the cinder blocks had blown out of the walls from the pressure and they were coming across the room almost like cruise missiles taking people out. Well, I grew up in New York, in fact my dad was a New York City cop and I was pretty familiar with the city, pretty familiar with the World Trade Center and all of the surrounding airports. [When I heard him say that] all I could think was that maybe a small airplane, like a Cesena, had taken off that morning and lost its way and hit the side of the building maybe in the fog or something. Then a co-worker said, “No, you better come see this…it’s pretty overwhelming.” So I went in and we all watched in the aftermath of the first airplane hitting the first tower. And then like many people, we saw that the second one hit live. Out of the corner of the picture [on TV] an airplane came into view and flew right into the second tower. So we were on alert, not officially, but we thought some attack is going on somewhere and we might obviously be a target being at the Pentagon. But what do you do? You don’t leave your post, so we were there to work that day and I went back to work and I remember I was specifically just looking out the window…I used to go for a run everyday at the Pentagon…around Arlington National Cemetery…or past the Memorial Bridge or something…I was just looking out the window and kind of mapping in my mind my route…I just needed to clear my mind from everything I had seen on TV, and that’s when the airplane hit the Pentagon. It had taken off out of Dulles Airport which is 30-40 minutes outside of Washington, D.C., and it was heading to the west coast. It had about 65 people on board, was full of gas and somewhere between 28-30 minutes after take off, the airplane turned around and was heading toward Washington. We don’t know if the Pentagon was the actual target or if it was the capital, but all we can tell you is that it was going about 560 mph when it did hit the Pentagon. RM: How powerful was the impact, were you physically knocked down? TJ: I just remember the first thing was this rumble and then my leg kind of getting lifted up and the floor was buckling underneath us; and then looking up and seeing a massive fireball come towards the window. I thought, this is it, we didn’t know it was an airplane at the time and thought it could have been a bomb, but just knew it was going to be something big, and the next thing I remember, is that the windows in our office caved in and we had fire coming into the office with burning jet fuel and debris. Some of the cinder blocks had blown out of the walls from the pressure and they were coming across the room almost like cruise missiles, taking people out. I was knocked back. I was not injured whatsoever, but I was knocked back. We did have some people in the office that were pretty severely hurt with head injuries and needed to be taken care of quickly. People started being evacuated immediately because we knew something massive had happened and you could see next to us the E ring down below was on fire and needed people to get out. I grabbed another Navy Captain and we just started going around to each cubicle accounting for everybody making sure we had everybody there and then he and I were the last ones making a way out ourselves. My son’s question was really a catalyst for me to be seeking the Lord for my next steps. RM: I can’t even imagine what that must have been like for you. TJ: It took us 40 minutes to get out of the Pentagon since we were up on the fifth floor coming down, through the impact point, through the [first three] floors that took the entire hit of the airplane that penetrated through the E ring, through the D ring, the C ring, and stopped just short of the B ring. The fire and debris carried on through the B ring and it was a mess. We had to go out the other side of the Pentagon. RM: And the Pentagon is such a big building. TJ: Yes, some of the people at the Pentagon [on the opposite side] didn’t even know it was hit until they saw it on CNN. RM: When you got out were you able to contact your wife, your family? TJ: Cells [phones] were jammed. We couldn’t get a hold of anybody and it was probably two to three hours later that I ran in to a guy from my church in the parking lot and borrowed his phone to call my wife. [At the time] she was a teacher for the Christian school at the church [we attended]. I gave a message to the principal to let her know that I was okay and I told him about any of the other dads and moms that I had seen from our church or the school. Five or six names of people; this person is ok, this one is ok… we did lose one from our church who was killed in the impact and two others that were severely burned. RM: It must have been so difficult to get through all of the commotion. TJ: A lot of things were happening, all of the emergency vehicles were there, and people couldn’t get their cars out so we started walking. There were probably 8 or 10 thousand of us that were just walking down the shoulder of interstate 395 into northern Virginia. Washington, D.C. was being evacuated and those who were driving were pulling to the side of the road, of course most of us were in uniform, and started picking us up and taking us to wherever we needed to go. It was maybe 2:00 or so in the afternoon that I finally got home to my family. RM: When you were able to finally get home, what was that like? TJ: We just kept watching the news and we prayed a lot together as a family. [Within a short time] I got a phone call from one of the pastors at our church, I had been serving there as an elder at the time, and he told me about [a man] who was missing. He asked me if I would go with him [to the man’s home], he wanted me to talk to the family as a military person and tell them that their dad was not coming home. His office was at the E ring impact point and nothing was ever found about him. We stayed with his family for quite a while, it was so hard. I could tell words were coming to him, but he couldn’t get them out yet. He was pretty emotional and he said, “Dad, I’m so thankful God spared your life from the Pentagon, but Dad, what are you going to do with the rest of your life now? God spared your life, what are you going to do with the rest of your life?“ And it was almost as if the Holy Spirit had spoken through my son to me. In my military career I really had reached the pinnacle, I could have gone on and done other things, but I was at a place where I had turned down another position or move because it was going to affect my family. So I knew I was going to retire [here] as a Navy Captain, but my son’s question was really a catalyst for me to be seeking the Lord for my next steps. I had been going to seminary at night taking classes because I wanted to learn some of the biblical languages and I wanted to increase my knowledge on geology and some other things. [My son’s] question was really a catalyst that caused me to consider praying about what was next. It was also at that time that our church, where I had been serving as an elder, approached me to consider coming on staff as a pastor, a discipleship pastor. RM: So did you go straight into ministry or back to work at the Pentagon? TJ: I went back to work at the Pentagon. Of course we couldn’t go back to the same office, and it was about a month later that we could go back into the office through the debris to get the classified material that we had in safes. People and businesses donated office equipment and computers and things like that to get us back up and running as soon as possible. Within 48 hours of the attack, we were back up to full strength at a remote office building about a mile away from the Pentagon. About a month after 9/11, I remember President Bush came over and told us that within a year our offices would be re-built. And they were. It was probably by the third week of August the following year that we moved back in. I actually retired in April of 2003, about a year and a half after the attack. It’s not an easy process to retire from the Navy, you give about a year’s notice and you have to plan out. But when I started the process shortly after 9/11, it just felt that God was leading us [my wife and me]. Everything was lining up [to go on staff at the church] and it was obvious that this was how God was working in my life and the lives of my family. I started at the church the week after I retired that April. [In the Bible] Romans 8:28 says, “All things work together for good…” I don’t think that God used 9/11 necessarily just to get me to go into ministry, but it is all part of his plan and the aftermath of his plan in many. 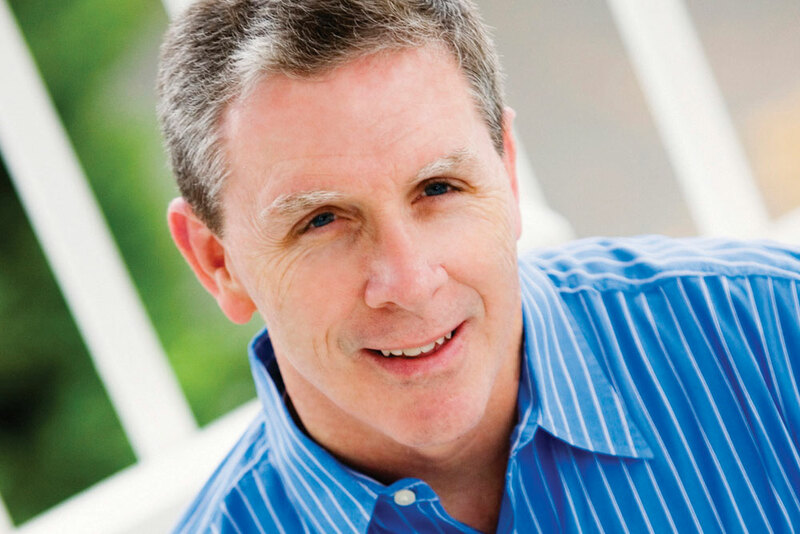 Many people’s lives have been significantly changed for the betterment of the kingdom. RM: What do you do in your position at Immanuel Bible Church? TJ: I am the pastor of Discipleship Training and Family. We don’t have a senior pastor, but instead a teaching team and I lead that teaching team [so Sunday messages]. RM: I know that you speak at Iron Sharpens Iron men’s events…what is the message that you bring? the attack on the Pentagon on September 11, 2001 was not the defining moment of my life, but it is a defining moment that God used to build his story through my life, as I now teach and disciple others.